Written for the private sector—where most money laundering takes place—this book clearly explains shows business professionals how to deter, detect, and resolve financial fraud cases internally. It expertly provides an understanding of the mechanisms, tools to detect issues, and action lists to recover hidden funds. Arming auditors, investigators, and compliance personnel with the guidance that, up until now, has been restricted to criminal investigators, Money Laundering Prevention provides nuts-and-bolts information needed to fully understand the money laundering process. 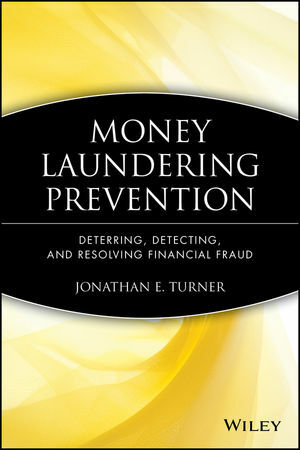 JONATHAN E. TURNER, CFE, CII, is a Managing Director with Wilson & Turner Incorporated, where he specializes in the prevention and detection of sophisticated financial fraud and employee crime issues. Prior to cofounding WTI, he served in investigations management positions with regional, national, and international investigations firms, with operational responsibility for thousands of investigations. He is a court-recognized expert in the investigation, documentation, and resolution of financial fraud matters. Turner is a commentator on fraud-related topics, including financial fraud schemes, employee fraud issues, and complex fraud schemes. He has been interviewed by the Wall Street Journal, the New York Times, and has appeared on ABC News, CNBC, and CNN programs.